Home > Monthly Club Plans! 10% Off Regular Package Prices! NOTE: The shipping dates shown in your confirmation of monthly plan orders are approximate, and are not a promise. The actual ship date will be determined during each month, and will probably be different from that shown due to weather conditions, crop maturity, and other variables inherent in a living system. We prefer to choose the ship date based on the flavor and quality of the fruit, rather than a calendar date. 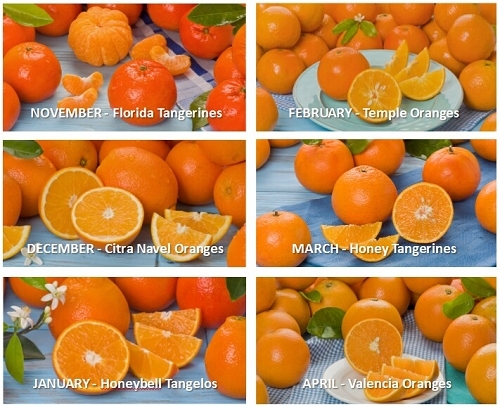 *** The USDA allows us to ship Florida Citrus to TX, AZ, CA, LA, and NV from November to March each season. Plans for packages to these states can include only those months.